In the past, when a user brought up a customer master record in Customer File Maintenance Change mode, the customer record would be locked. Any other users who tried to update that customer record -- including when printing a pick ticket and invoice -- would receive a Customer Record Locked message. In many cases, the user who brought up the customer master record in Change mode -- and who, without realizing it, locked that record -- could stay in the Change mode for an extensive period of time, and thus cause operation problems for other users. In this update, we introduce "phantom locking" logic to Customer Master Maintenance program to reduce locking conflicts. That is to say, the system now does not lock the customer master record after a user brings up that customer in the Change mode. Instead, the system will check if the changes to the customer master can take place. 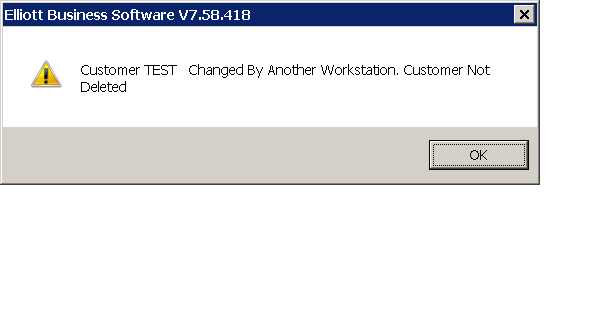 If no other user changes the customer master in between, then the changes are updated back to the customer master. Otherwise, a conflict message will be displayed. The user will need to make their change again. This mechanism also nudges the user to finish their changes in customer master quickly without hogging that record. This is good behavior that we like to encourage for other areas where "phantom locking" is not yet applicable. There are new situations where updates of the record will not be possible and an error message will show the reason. 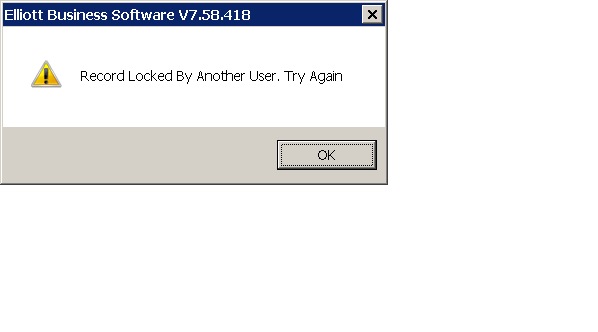 of a customer is attempted but the record is locked by another user. update of an item is attempted but the record has been changed by another user. delete of an item is attempted but the record has been changed by another user. 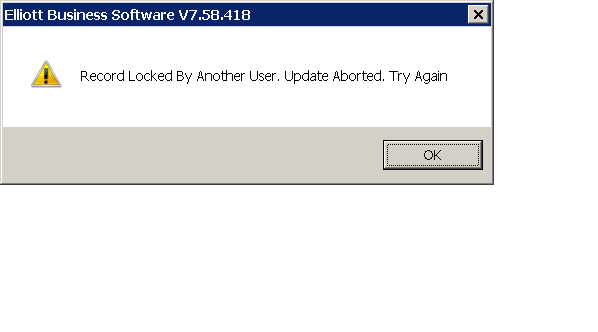 item is currently locked by another user attempting an update.